At this point, we have our Starbucks orders engrained in our brains—they might as well be engraved on our tombstones too. The comically long combination of milk type, size, coffee blend, temperature, and added flavor make up a cadence we instinctively and routinely pronounce to the barista, itching our necks and slightly trembling until we finally get our fix. If we ever went missing, just check our bank accounts for the last Starbucks purchase and we won't be too far. But this daily order we could easily recite in our sleep is about to change completely, thanks to the expert advice of nutritionist Sarah Bond of Live Eat Learn. While our favorite drinks satiate our caffeine addiction, there's an unexpected benefit to drinking from our favorite green and white cups: beautifying ingredients, as in nutrients that will improve our appearance and essentially make us prettier. Cue the celebratory horns! "While pretty high in calories and fat, the Green Tea Crème Frappuccino is also high in vitamin A, vitamin C, and calcium," says Bond. "Vitamin A is great for your skin and helps keep it firm and moisturized. Vitamin C will really boost your immune system to keep you healthy and glowing." And while calcium is essential for strong, beautiful teeth, it's also great for your skin. Calcium helps the skin regenerate as well as retain moisture. However, if you're prone to acne, skip the dairy and try a green tea latte with coconut milk instead. Dairy can exacerbate breakouts in large quantities, so drink Frappuccinos sparingly. 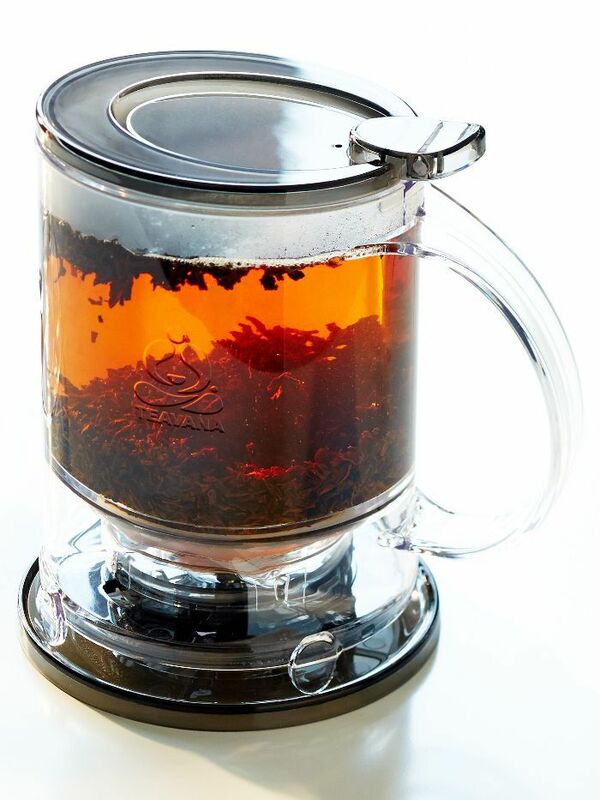 Starbucks brews teas in a variety of skin-boosting blends: green tea, black tea, chamomile, and mint. Green and black tea are full of antioxidants that help eliminate free radicals and prevent premature aging; chamomile calms the skin and reduces inflammation and redness; and spearmint can help reduce acne. "If you're really looking to boost your vitamins and minerals, the smoothies will be your best bet," Bond tells us. "The orange mango smoothie is very high in vitamins A and C." For maximum benefits, opt for Starbucks's newer selection of Evolution Fresh Cold-Pressed Juice Smoothies. They're made from 100% cold-pressed juice and nonfat Greek yogurt, which has probiotics, making it a safe dairy choice since probiotics reduce inflammation in the gut that's linked to acne. Additionally, the various vitamins and minerals in the fruit and greens of the smoothies help boost collagen, remove toxins, and brighten the complexion. "This drink has a nice balance of healthy macros and high nutrients at 90 calories and 1 gram of fat while providing 7 grams of protein, a 15% daily value of calcium, and 45% daily value of iron," says Bond. Protein is excellent for strong hair, skin, and nails, and iron fights hair loss and gives skin a healthy glow. Curious about the mocha component? Go ahead and indulge, says Bond, saying that the drink as a whole "is a nice balance between decadent taste and healthy." But because of the sugar content, opt for a Tall. Which order sounds most appetizing to you? Sound off below!